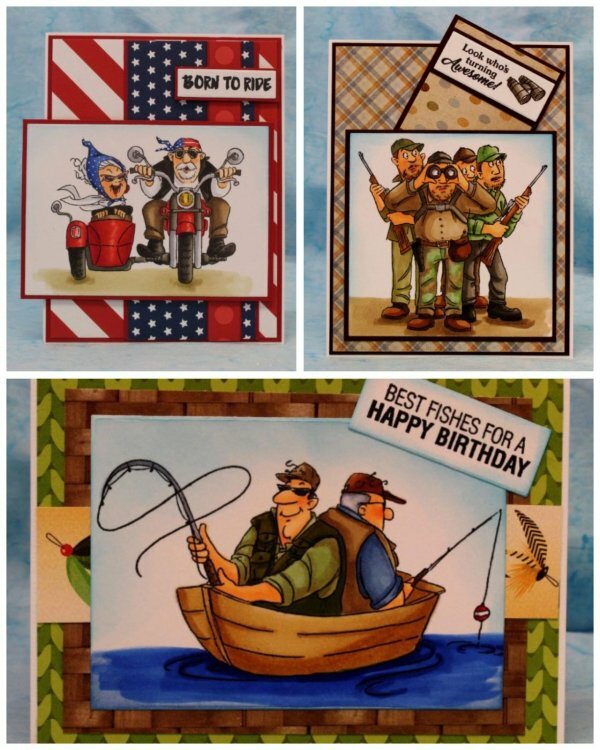 We seldom get a chance to make men's cards. 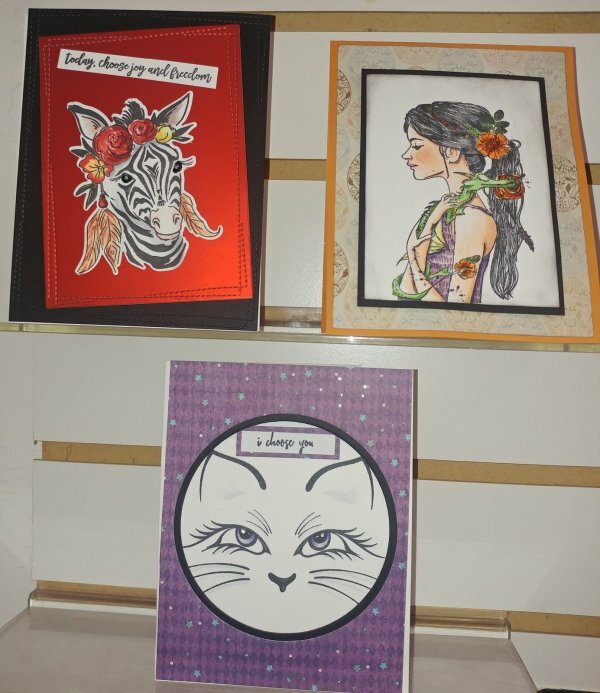 Robin has outdone herself creating these three cards. Call to sign up for this Saturday's class, April 13th. You will also want to sign up for Kathy's class the following Saturday, April 29th. Kathy has used some interesting images from Picket Fence. Call 559-642-6611 to sign up.